Should grassroots sports organizations enter the esports field? And if so, what approach (including the types of activities) should be used? Yes, indeed. Esports fit really well with other sports clubs and grassroots sports organizations. What I have learned is that, it is all about relevancy. 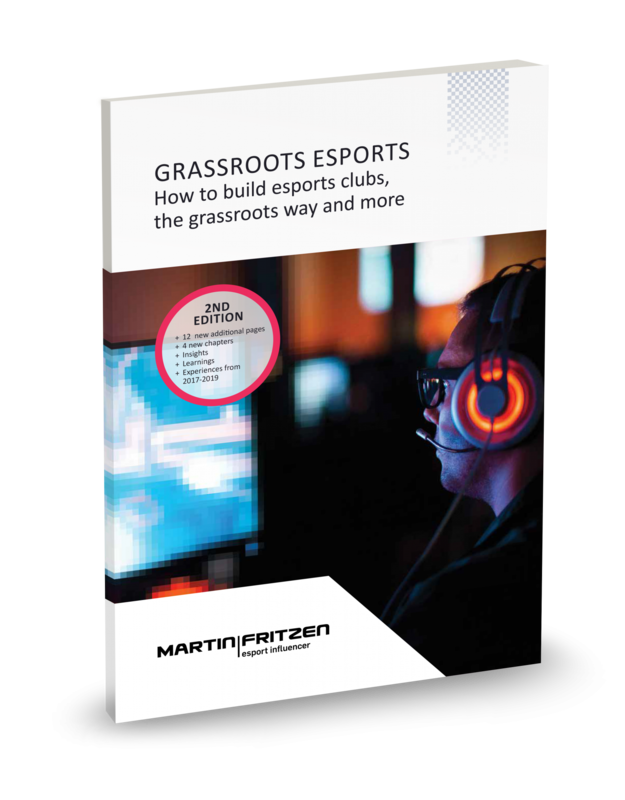 If you are a grassroots sports club, and you want to include esports, you’ll want to ask your local community for their input. Facilitate an informal meeting in the club, invite members of the community, in-and outside of the club, and see if anyone is interested in organized esports activities. Usually they are. From there you will build a project group, which will start to develop and offer relevant esports activities in the club. The target group should help decide on the types of activities. What do they want? Which games are they interested in? Do they want to become world champs and train eight hours a day? Do they want to play just once a month and have fun with their friends? We see all types of esports activities in Denmark right now. From players sitting at home, to paying members of a club, as well as gamers playing against other online clubs. We see players bringing their own computers to the club for practice and competition. We see clubs renting esports facilities outside of their club; grassroots sports clubs building expensive esports rooms; and clubs spending 60,000+ EUR to build training and competition facilities. We see big, rich clubs do it. We see small, non-rich clubs do it. Everything works. It all depends on the target group you have in your community and the volunteers you can attract as coaches, project managers and so on. How do you think esports can benefit local sports associations? New activities to offer to markets, parties, festivals etc. If we consider our social responsibility to our communities, we see that 40% of the esports players have never been members of sports clubs before. When sport clubs start to offer esports activities, they attract new target groups. Some have been lonely. Some are diagnosed with Asperger’s or ADHD, some do not have a network, some do not have any friends. This changes when these target groups become members in sports clubs, offering esports. We see these people blossom, gain new friends, new networks – we even see them grow and develop in a positive way in school, because of the positive boost they get from the meaningful esports communities they are part of.